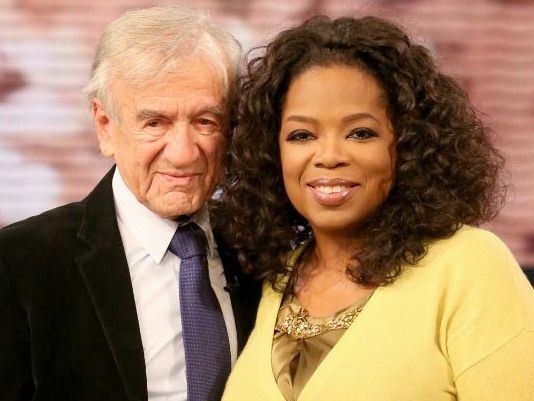 Oprah Winfrey sits down with Nobel Peace Prize Winner and New York Times bestselling author Elie Wiesel. As the voice of the internationally-acclaimed Holocaust memoir, Night, Elie was honored with the Nobel Peace Prize in 1986. At age eighty-two, Elie was rushed into open-heart surgery. During his conversation with Oprah, he shares his thoughts on love, regret, and abiding faith as he faced his own mortality. Detailing these experiences in his latest memoir, Open Heart, Elie discusses that the fears associated with his lifesaving operations allowed him to re-examine his career and deepen his devotion to his family. Plus, find out what Elie hopes will be the destiny of his life’s work. 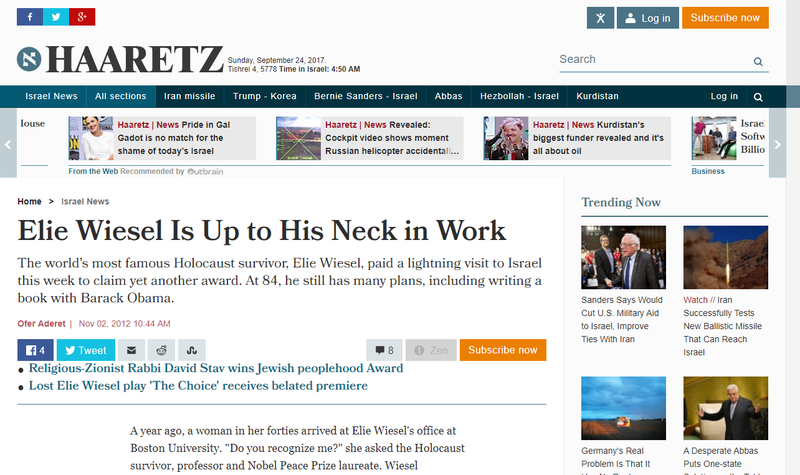 Haaretz – The world’s most famous Holocaust survivor, Elie Wiesel, paid a lightning visit to Israel this week to claim yet another award. A year ago, a woman in her forties arrived at Elie Wiesel’s office at Boston University. “Do you recognize me?” she asked the Holocaust survivor, professor and Nobel Peace Prize laureate. Wiesel remembered her well. Twenty years earlier, she had been a beautiful young student in one of his humanities courses. In one class, Wiesel had noticed a flower making its way to her from a male student, passed along by everyone in the lecture hall. “I remember you. But what can I do for you?” he asked, puzzled. “Two decades have passed,” she replied. “The guy who gave me the flower is now my husband. We have two lovely children and we are happy. I only came to say thank you. Thank you, because we met through you.” Then she went on her way. NEW YORK (AP) – When Elie Wiesel emerged from quintuple heart bypass surgery, still wired to monitors, he immediately started writing a book about the ordeal _ “in my head.” In French. A year later, as he recuperates from post-procedure fatigue and depression, “Open Heart” is being published, in English. And the 84-year-old Nobel Peace Prize laureate and Holocaust activist is busy in the Manhattan office of his foundation, which also is recovering _ from financial ruin by Bernard Madoff, who had invested the money funding its humanitarian efforts. Madoff’s Ponzi scheme also wiped out Wiesel’s family investments. About one-third of the Elie Wiesel Foundation for Humanity’s $15 million assets have been replaced through new contributions, according to tax documents obtained by The Associated Press. 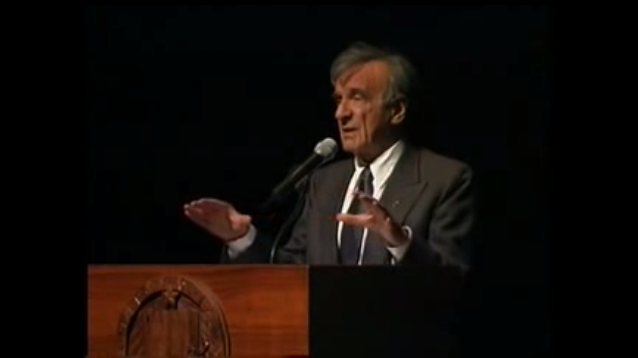 UCTV – Professor Wiesel spoke with students, alum, faculty, and community members at Barnard College focusing the discussion on the dangers of isolation. 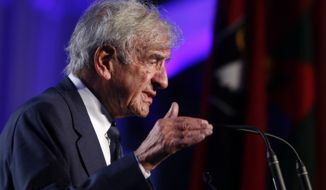 CJN – Nobel laureate Elie Wiesel joined a growing list of Jewish leaders who are calling on Canada to reverse changes to legislation that denies health care to refugee claimants. In a letter released last week to the Globe and Mail, Wiesel said he supports the Toronto Board of Rabbis, which has called on Canada’s federal government to abandon the changes, which end most health benefits to certain refugees. 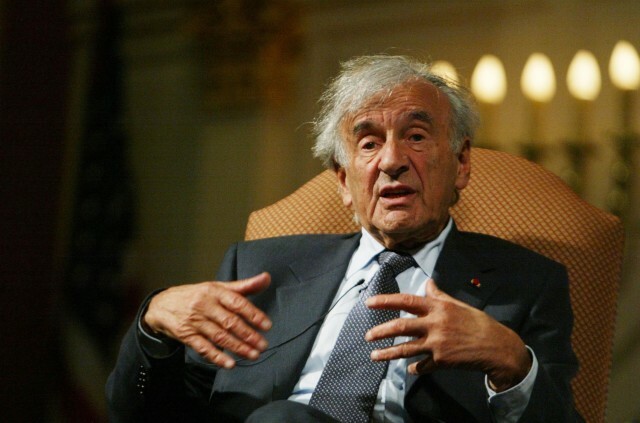 “As a former refugee, together with the Toronto Board of Rabbis, I feel morally compelled to remain on the side of other uprooted men and women everywhere,” Wiesel wrote. 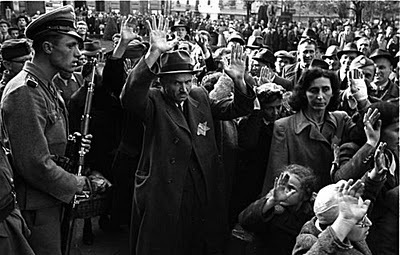 Not so for Jews of earlier generations, for whom the smoke of the camps is far more pungent. And as survivors of the camps dwindle in number, their voices, their invocations to never forget, become ever more urgent. And no voice is more urgent than that of Nobel Prize winner Elie Wiesel, whose “Night” remains probably the most widely-read nonfiction chronicle of the six million who perished, not to mention those who live with the scars. Wiesel is in the news today because he has returned a Hungarian prize he won in 2004. He no longer wants it, convinced that Hungary is “whitewashing” its collaboration with the Nazis, according to an AFP report. 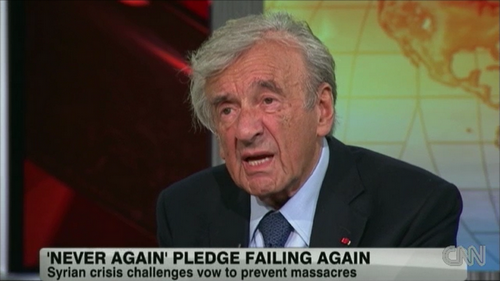 CNN – Two perspectives on the crisis in Syria: NPR correspondent Deborah Amos and Nobel Peace Laureate Elie Wiesel. The medals, first awarded in 1989, were presented during a ceremony in the East Wing of the White House. After the ceremony, the medalists and their families and friends joined the President and First Lady Michelle Obama in a reception in their honor.